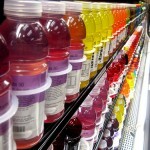 While you certainly don’t need a nutrition degree to make healthy food choices, it’s all too easy to be inadvertently sucked in by products with significantly less nutritional value than we imagine. Clever marketing, deceptive packaging and mixed messages from ‘experts’ all work to confound us, and we find ourselves stocking up on sugary or fatty products under the impression that they are ‘health foods’. With that in mind, here are my top 10 ‘health’ foods – debunked. 1. 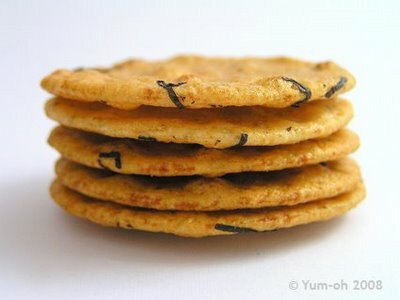 Rice crackers – Rice crackers are often touted as an ideal snack choice for dieters, being as they are essentially fat free. Less ideal is their high GI (Glycaemic Index), which is apt to send blood sugar levels souring. Choosing a lower GI, higher fibre option like wholegrain crackers will avoid the mid-morning slump, as carbohydrates are broken down more slowly, prolonging digestion and maintaining satiety for longer. Granola – Granola’s a staple breakfast choice, whose name conjures up images of healthy, natural and organic living. What, after all, could be so wrong about a bowl of oats, nuts, seeds and honey? 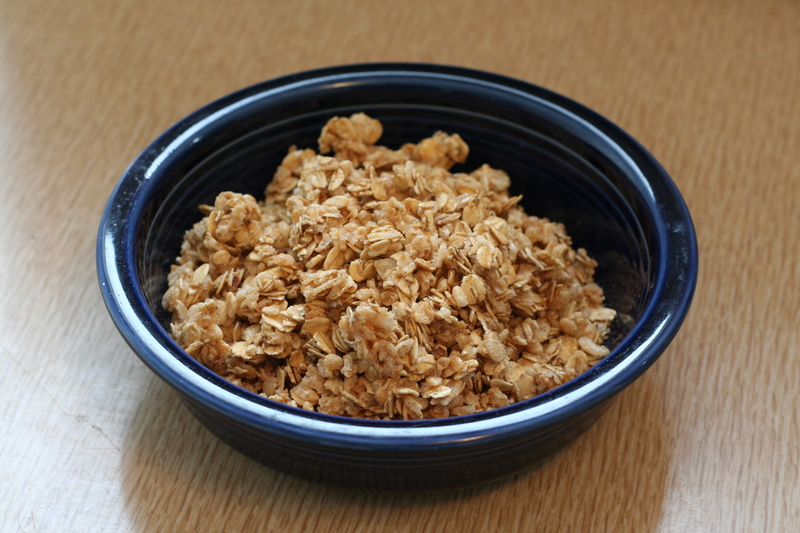 The problem is that in addition to being nutrient-dense, many granolas are also kilojoule-dense, meaning a small portion packs a punch in terms of energy.The combination of natural sweeteners and high (healthy) fat nuts can mean that a serve of granola contains up to 20% of your recommended intake of fat for a day. This is why it’s important to watch your portions – The Australian Dietary Guidelines recommend a serve of granola to be around 30g, or ¼ of a cup, probably a lot less than you’d usually be free-pouring!A good tip is to add a dollop of protein-rich Greek yoghurt to your Granola, which will increase feelings of satiety, keeping you fuller and more satisfied for longer. Muffins – A name can be misleading. 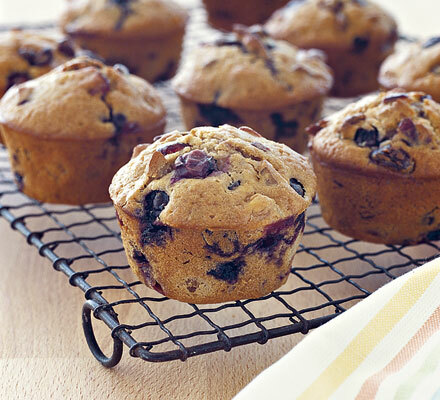 ‘Fat-free blueberry’, ‘low-fat bran’… healthy though they may sound, these muffins are generally loaded with butter, oil, sugar and refined white flour – essentially dressing those healthy blueberries and bran in cake batter. 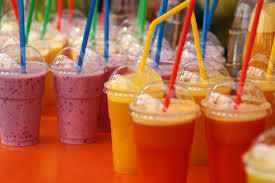 Smoothies – Given that fruit and vegetables are low-kilojoule, nutrient-dense foods, you could be forgiven for thinking a fruity concoction with a fun name slapped on it would be a good snack option. The problem with smoothies from popular outlets like Boost Juice and Gloria Jean’s is twofold.First, there’s the issue of the ingredients. Often loaded with full cream milk, sugary juice concentrate and ice cream or frozen yoghurt, the smoothies we buy are generally nothing more than confectionary.Team the dessert-like ingredient list with the enormous serve sizes – over half a litre for an ‘original’ size at Boost – and you’ve easily sucked down over 2000kj – the equivalent of a Big Mac. 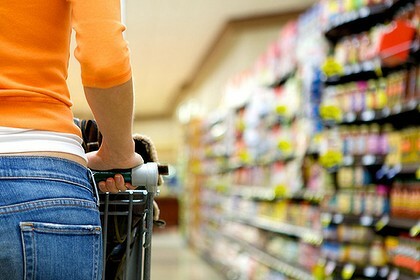 (Some) Yoghurts – The yoghurt aisle can be a real trap for the unwary shopper. While some products are great nutritious options, others are little more than a highly processed dessert.As a general rule, fruit-flavoured yoghurts are often loaded with sugar, containing around 2 teaspoons per serve. 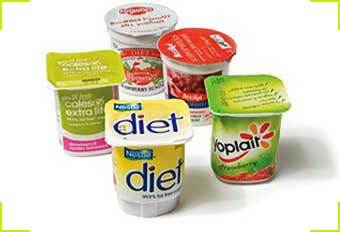 ‘Diet’ yoghurts may be sugar-free but sweetened with artificial additives, something that doesn’t sit well with everyone. Preservatives and additives – like thickeners, colours and flavours – are also featured commonly in yoghurts, so it pays to compare your brands.I like to stick with Greek or natural yoghurts because, as Dietitian Catherine Saxelby explains, “there’s no dilution of the key nutrients of yoghurt by sugar or fruit puree. This means you get more protein, calcium, and B Vitamins without the unwanted extras.” If the acidic taste of plain yoghurt is too much, add fresh or frozen fruit or a small amount of honey for extra flavour. Multigrain bread – Though certainly not an unhealthy option, choosing multigrain may mean you’re not getting the full nutritional benefit of whole grains. This is because often multigrain breads are made from a refined white flour with grains added.A smarter choice is to go for wholegrain breads – made from the whole grain – which are higher in fibre and will keep you fuller for longer. Other great options are sourdough and rye breads, both of which are low-GI and will keep you and your digestive tract happy. Frozen yoghurt – … is this really a surprise? 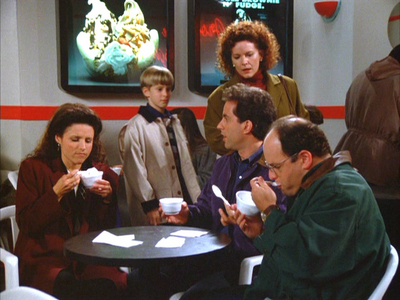 The frozen yoghurt trend is nothing new – 20 years ago, a whole episode of Seinfeld was based on the stuff. A lot has changed since then, but froyo is still comparable to ice cream in terms of sugar (even if it is ‘fat free!’). As a review conducted by Choice last year explained, the myriad health claims that adorn the walls of trendy frozen yoghurt bars are dubious, as nutrition information isn’t usually available in store – despite requirements for this outlined by Food Standards Australia New Zealand. When info is on hand, it relates only to 100g quantities (eg. ‘4g of fat per 100g’). This is pretty standard practice, but when you consider the popularity of self-serve frozen yoghurt, and the size of cups provided – half a litre for a large at some stores – it’s also quite deceptive. 9. Veggie chips – This well-intentioned alternative to normal potato chips may be ‘derived’ from vegetables, but still has many of the same downfalls: they’re highly fatty, salty and easy to overeat. 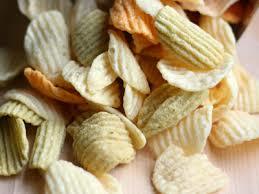 Despite what the name suggests, a serve of veggie chips will not contribute to your recommended five-a-day. 10. 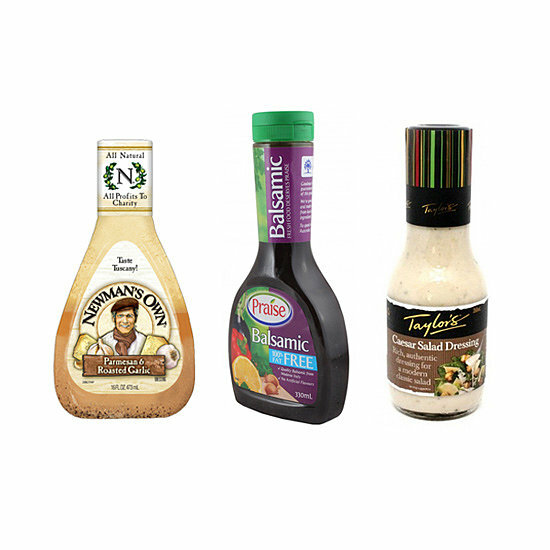 Store-bought salad dressing – Oil and seasonings are the main ingredients in most dressings, so it goes without saying that most selections are heavy on the fat, salt and event sugar content. More concerning to some, however, are the many additives included to create an attractive and shelf-stable product: thickeners, preservatives, stabilisers and the like. Though these probably won’t adversely affect your health, it’s always best to choose whole foods as close to their natural state as possible. The best option is to make your own salad dressings, which is as easy as mixing together a few staple ingredients – olive oil, balsamic vinegar, lemon, mustard, all things you probably already have on hand. This allows you to control what goes in and how much you eat. I never knew yogurts were so packed with sugar! And here I was eating a container of blueberry greek yogurt thinking I was being extremely healthy… I’ll definitely have to mix in my own fruit next time. Thanks for writing this, it was a real eye opener! They sure can be surprising, but that’s not to say pre-packaged yoghurts are always a bad choice – they can be a saviour when in a huge rush! Yes, true. I apologise for my profession (communications). 😀 We have certainly sinned on things like margarine (essentially selling trans-fat as better than butter! *hides face in hands*). I didn’t know about the added fat in granola. I will be sure to monitor my servings from now on. Thanks so much for sharing this article. Thanks for an informative read! 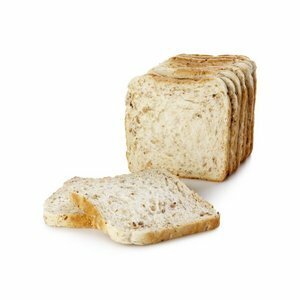 What do you think of the low GI high fibre bread? I had to buy this as my daughter would not eat any bread with grains in them. Thanks Paula, I think it’s a good option for fussy eaters! It’s certainly not unhealthy, and is a smarter choice than ordinary white bread. I was recently at a birthday party where the cake was supposedly gluten and flourless. Is this any better than your traditional sponge and would two prices be OK if it was a special occasion?